My hangar is kind of a melancholy place these days, as it seems I’ve found a buyer for Nine-Four-Mike. A nice guy whose name also happens to be… Mike. Anyway, I’ve been thinking about what I’ll miss most once she’s sold. “Ground visibility” is definitely near the top of the list. For sightseeing, there’s nothing quite like a 100 or 200 series Cessna. You can fly low, slow, fairly quietly, and open up the window to enjoy the breeze. In fact, if you take the window off the rail, it will hang just below the wing and give you an unfettered one-by-two foot opening from which to view the world. It’s like a Stearman, but without the 100 mph breeze. One of my favorite late afternoon activities is flying along the Orange County coastline looking at the homes and beaches. Pull the power back, drop in 10 degrees of flaps, and cruise down the coast at 70 mph. Since 94M might be leaving the fold soon, I decided to take a few photos to memorialize the amazing visibility she provides. 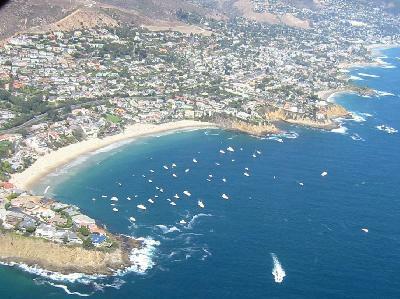 So without further ado, here’s a quick pictoral tour of the Orange County coastline. 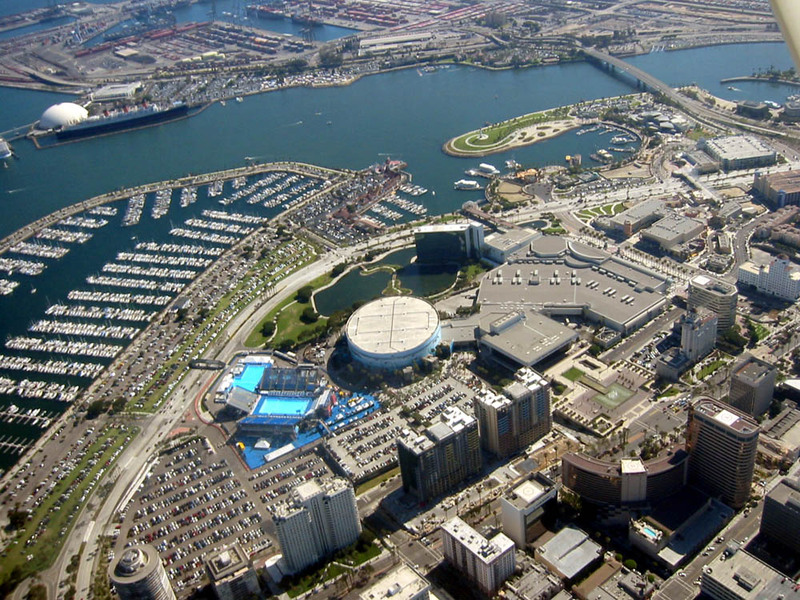 We start in Long Beach, where the coast begins to move east/west instead of north/south. 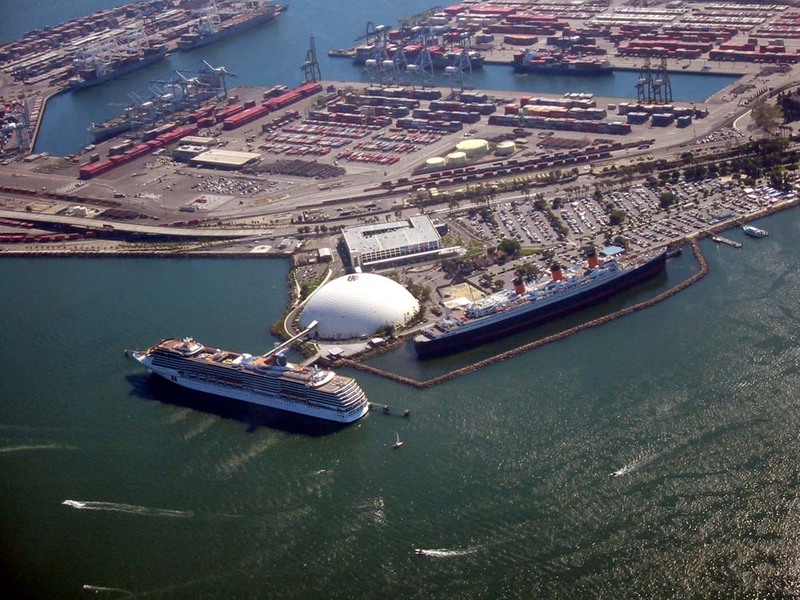 In this photo you can clearly see the Long Beach Convention Center, the Sports Arena, Long Beach Harbor, the Queen Mary, and the white dome that used to contain the Spruce Goose. Here’s a closer look at the Queen Mary. A modern cruise ship is docked to her left at a new pier that was just recently completed. I’m waiting for the day Queen Mary II docks there. That will be a stellar photo op! 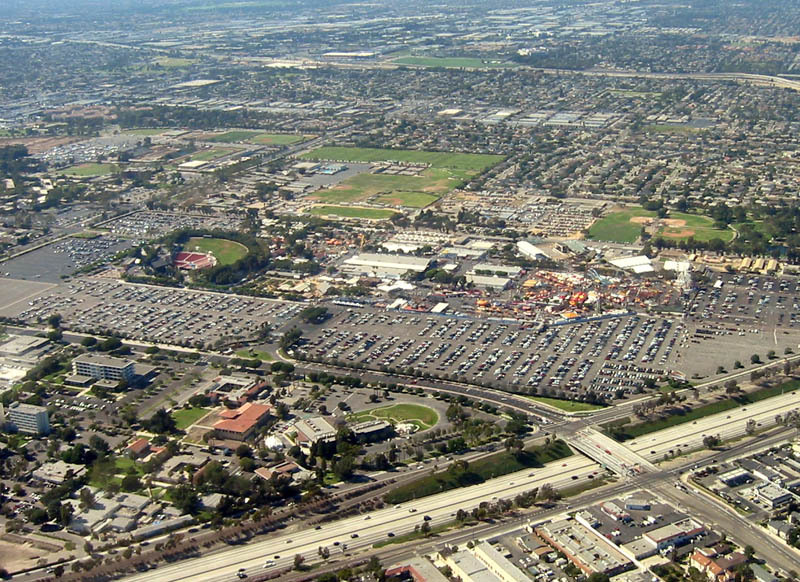 We head southeast from Long Beach, eventually reaching the Orange County Fairground in Costa Mesa. On the left is the Pacific Amphitheatre (with red seats and a grassy area on top), a popular 9000 seat venue. The O.C. Fair just opened last week, and as you can see it was packed this weekend. 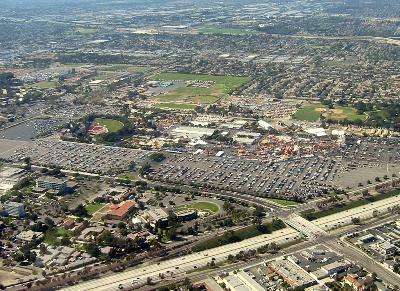 Just above the Fairground is the campus of Orange Coast College. At the bottom of the photo is the 71 Freeway. Our eastward journey continues and we come upon Newport Beach. 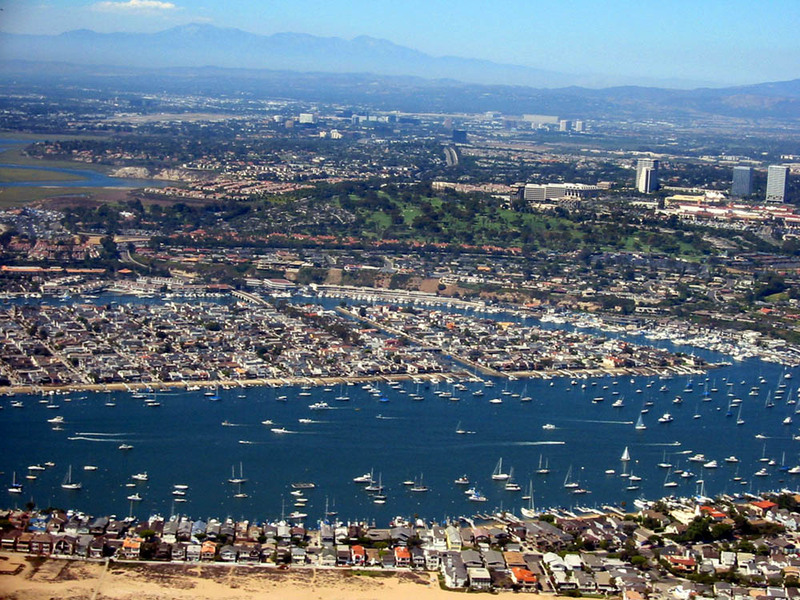 This is Newport Harbor, populated with moderately priced shacks in the $4 million+ range. 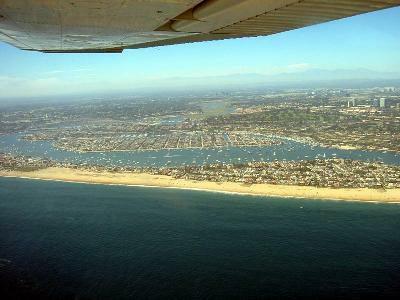 In the middle of the photo is Balboa Island, and at the bottom is Balboa Penninsula. 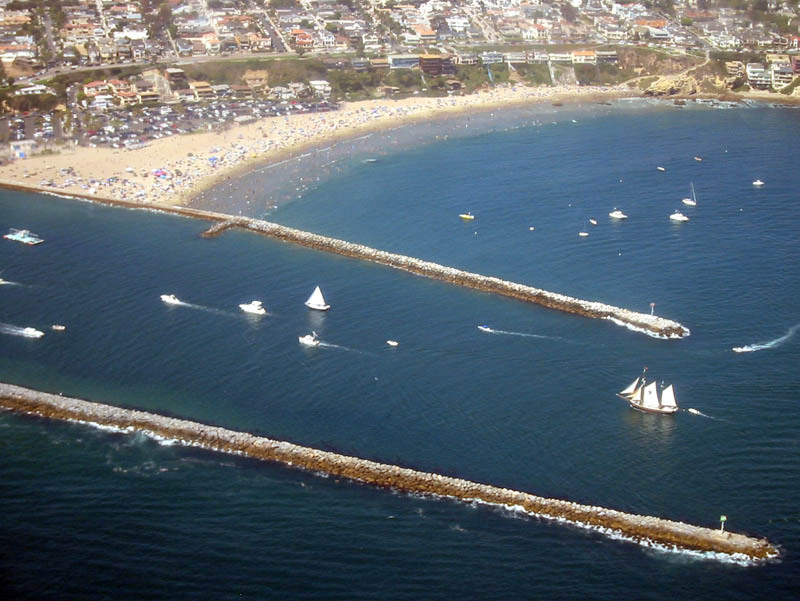 Believe it or not, when Newport Harbor was dredged in the 1920’s to create Balboa Island, no one wanted to buy the lots. The developer ended up giving them away for free when you bought a subscription to a particular magazine. 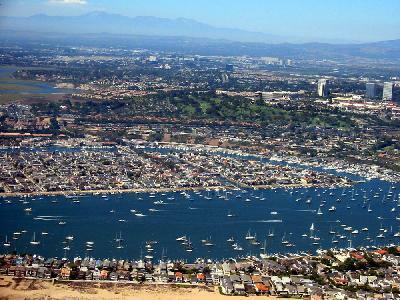 Here’s a closer look at Newport Harbor. 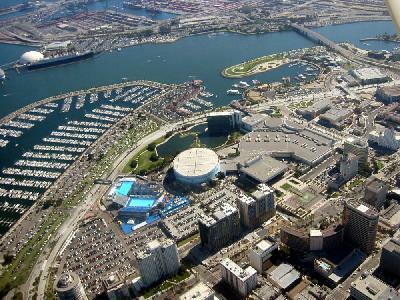 In the upper left you can see part of the Newport Back Bay, a nature preserve. Above that is John Wayne Airport (SNA). To the right of John Wayne is the former MCAS Tustin with it’s famous blimp hangars (which are now national landmarks). And off in the distance at the very top of the photo are the San Bernardino Mountains. A tall ship entering Newport Harbor. Note the crush of people enjoying a Sunday afternoon at Corona del Mar State Beach. On the southeast end of Newport Beach is an area known as Newport Coast. Newer homes, larger lots, and higher price tags. 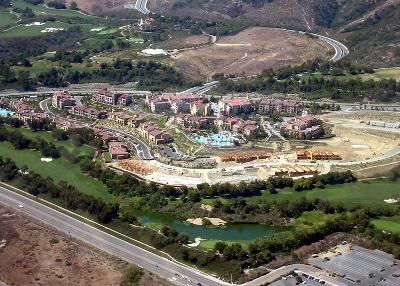 This development is Marriott’s Newport Coast Villas, a high-end timeshare. I snapped this photo because my brother and his family vacation there every summer. 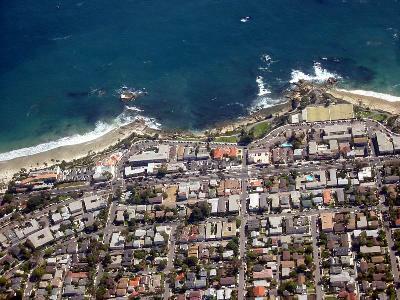 At the bottom of the picture is Pacific Coast Highway. 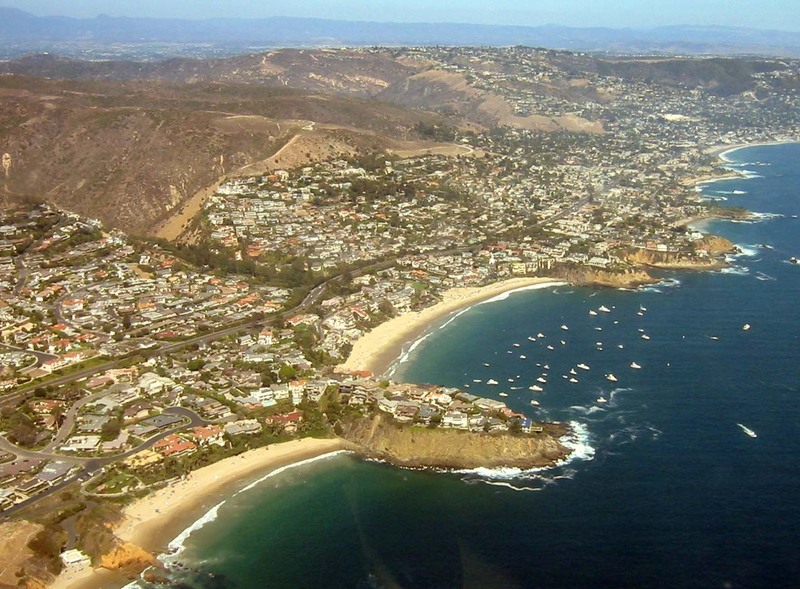 We continue southeast past Newport Beach and come upon the fabled colony of Laguna Beach, home to countless artists and art festivals, including the world famous Pageant of the Masters. A closer look at some of the Laguna Beach coastline. This is a popular spot for SCUBA diving, but you’ve gotta be careful you don’t get too close to the rocks. Don’t ask how I know that. This is Pacific Coast Highway just west of Laguna Canyon Road. Below the left-most of the two rocky outcroppings is a road that curves along the coastline. 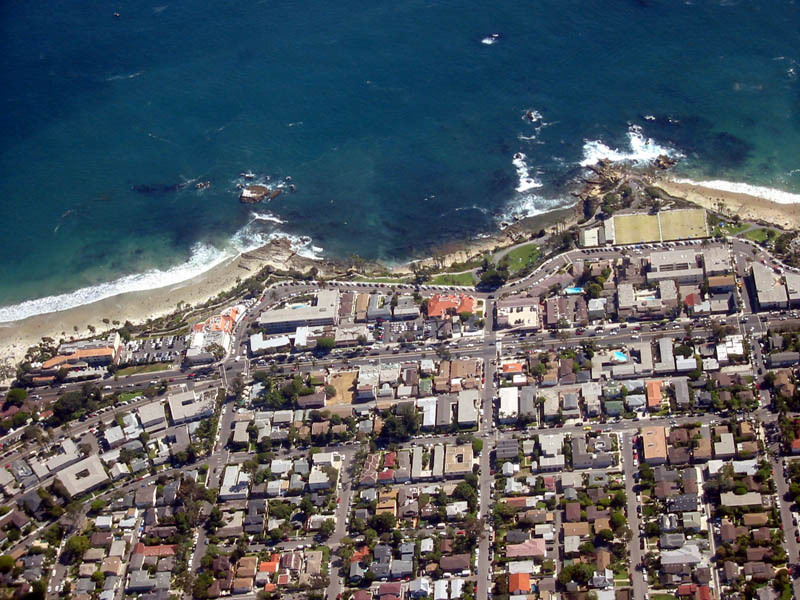 The white building on that corner is the Laguna Art Museum. Next to that is a popular Mexican restaurant called Las Brisas. 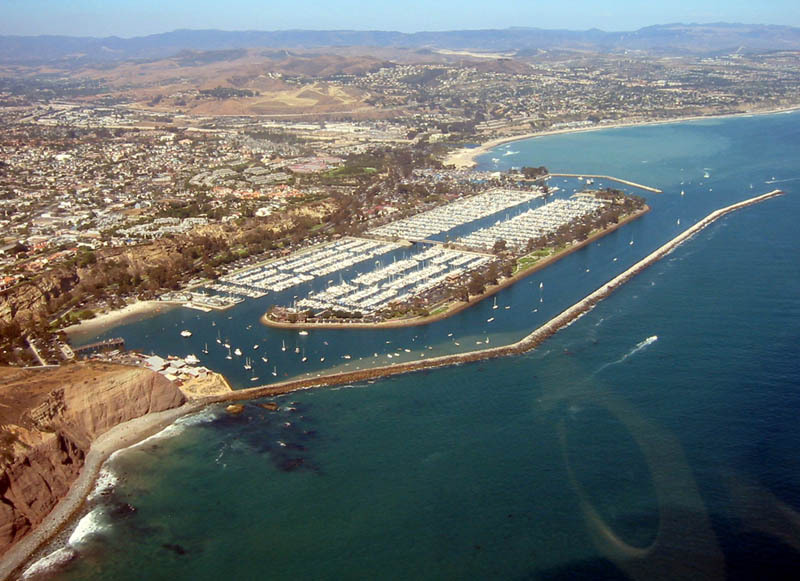 Our final marker is the large marina at Dana Point. When flying down the coast to sightsee, this is usually the southern-most point. Once you pass Dana Pt. there’s not much to see except for a nuclear power plant and some restricted airspace before entering San Diego County. 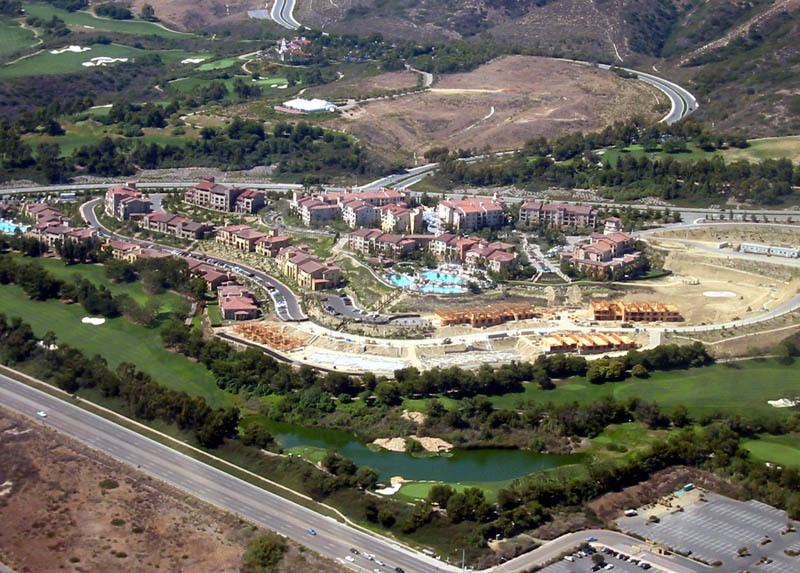 One thing of note: at the top of the photo you’ll see some of the last remaining undeveloped land in Orange County. We use the airspace over this blank land for aerobatic practice, but it may not be long before that area has houses on it, too. I hope you’ve enjoyed this aerial tour of the Orange County coastline. For all it’s shortcomings, on a clear day it’s tough to match the beauty of this region, especially when you can get above the traffic and see it from the air. Hi Ron. Nice pictorial. Why are you selling your 182? I’m happy to hear about your Multi/Instrument rating.Good job!Those Seminoles are sweet flying machines aren’t they.Now it’s time to get your hands on a 310,the difference in power is amazing. Congratulations once more. Awesome tour Ron!!!! That shot of the Queen Mary and Long Beach Convention Center shows the temporary pool being used for the olympic trials. Yep… it’s temporary. Amazing. Bill, I’m selling the 182 because I’ve put 800+ hours on it and I’m ready to move on to something a little more efficient, sporty, and challenging. Plus I want to pursue some advanced ratings, like the CFI/CFII/MEI. Ron, great pictures! Nice to hear from you again. My condolences on Tweety and good luck with your ratings-quest. Its great for a flatlander, middleearth, midwest person to see how the affluent and nearly affluent live out there on the coast. Maybe someday I can make it our there for the live version.